A Likert scale is a scale commonly involved in surveys and research. Generally, the respondent is presented with a statement and is asked his/her level of agreement with the statement by selecting a point on the scale. These points have often verbal statements or numbers attached to them. The scale should be balanced between positive and negative agreement options. Like Thurstone or Guttman Scaling, Likert Scaling is a unidimensional scaling method. When responding to a Likert questionnaire item, respondents specify their level of agreement or disagreement on a symmetric agree-disagree scale for a series of statements. Thus, the range captures the intensity of their feelings for a given item. A Likert item is simply a statement that the respondent is asked to evaluate by giving it a quantitative value on any kind of subjective or objective dimension, with a level of agreement/disagreement being the dimension most commonly used. 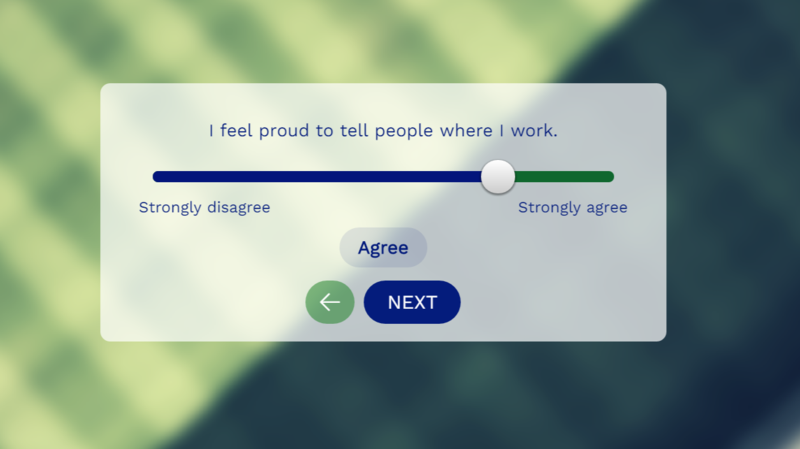 Well-designed Likert items exhibit both "symmetry" and "balance". Symmetry means that they contain equal numbers of positive and negative positions whose respective distances apart are bilaterally symmetric about the "neutral"/zero value (whether or not that value is presented as a candidate). Balance means that to the distance between each candidate value is the same, allowing for quantitative comparisons such as averaging to be valid across items containing more than two candidate values. The term is often used interchangeably with a rating scale, even though the two are not synonymous. A Likert scale is a type of rating scale, they enable one to rank attitudes, but not to measure the difference between attitudes. Please indicate to which extent you agree or disagree with the following statements. How do you evaluate the importance of the following aspects?